What to Do When You See Mice Droppings in Your House? Discovering that mice or other rodents are living in your house can be disturbing and downright shocking. Mice carry diseases, destroy food products that aren't properly stored, and can leave droppings in any part of your home. If you want to avoid chemical repellents or traps because of pets and children in your home, there are organic alternatives that work. Although most animal shelters frown upon adopting a cat merely to deal with a rodent problem, it is a fact that cats and mice don't get along. Most of the time, the scent of a cat in your home will keep mice from showing themselves. Keep your cat indoors for a few nights and you might be surprised what they have caught for you in the morning. Mice are naturally repelled by the scent of peppermint. Depending on the season, plant peppermint plants along the outside of your home's foundation to discourage rodents from entering. If you've seen droppings or other indications that mice are in your home, soak a cotton ball in peppermint oil (available at any natural foods store) and wipe it along baseboards, inside cabinets, inside drawers, and along counter tops. Peppermint oil has a pleasant aroma and is not toxic to you or your pets. It might sound gross, but if you're not interested in buying a cat, you can substitute a spray of fox urine to achieve the same repellent action. Fox urine is available from online pest control supply companies and some hunting supply stores. Spray or sprinkle it inside and outside your home to keep unwanted guests away. Mice also avoid hot pepper, like cayenne. 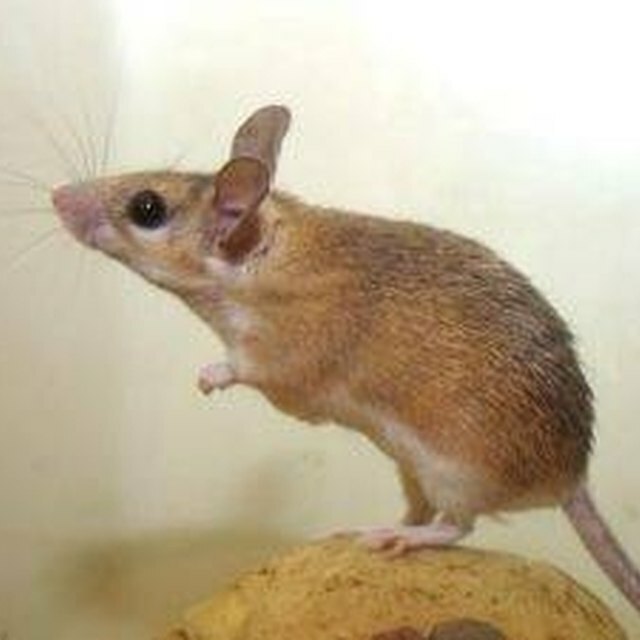 Make your own natural mice repellent spray by adding a 1/4 cup of soap detergent and 1 tbsp. of Tabasco to 1 gallon of water. Mix it thoroughly and then pour into a clean spray bottle. Spray this repellent any place you see droppings or gnawed food boxes. If none of the above organic repellents work, try a nonlethal electronic repellent, such as an ultrasonic sound device. These devices are designed to emit an audio signal that is inaudible to humans, but terrifying to mice. If you're moving into an old house or apartment that has had problems with mice in the past, these devices are a great way to prevent them from entering the home again.